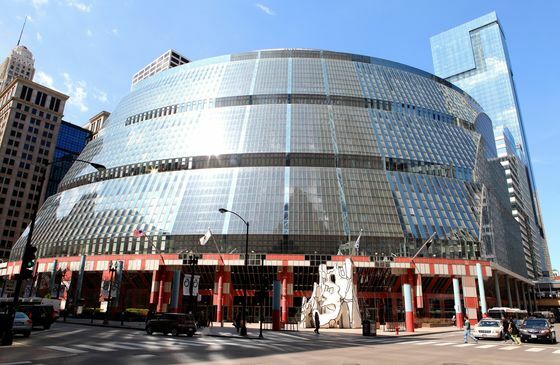 (Bloomberg) -- For Sale: Chicago’s James R. Thompson Center. Governor J.B. Pritzker signed a bill on Friday that authorizes the sale of the 1.2 million square-foot, architectural landmark in the middle of downtown. Unloading the building -- which houses state offices and shops and is known for its 300-foot glass atrium -- would provide cash for Illinois’s underfunded pensions, one of the biggest financial strains on his government. In February, Pritzker said tapping state assets -- like its roads and offices -- could be a way to chip away at the $134 billion debt to the retirement system, which has left Illinois facing escalating annual payments and has pushed its bond rating to one step above junk. The bill he signed on Friday provides for the sale of the Chicago building by a competitive process within two years. A request for proposals would be issued in the next seven to 12 months, followed by a review process. It’s not the first time Illinois has contemplated selling the 16-story building. Governor Bruce Rauner, Pritzker’s predecessor unveiled plans in 2015 to sell the building -- seeing it as a way to raise some $300 million for the budget -- though it never panned out.